With the ongoing discussions regarding the state budget deficit, I’d like to hear your feedback regarding revenues from tolls. I hope you'll take a look at the data and information below and answer a brief poll at the bottom. Tolls are no longer the archaic toll booth structure of the past. They are an electronic overhang. CT residents would have to pay a fee as well, albeit discounted. The revenue would offset what we currently allocate in taxes towards transportation/road and bridges repair. 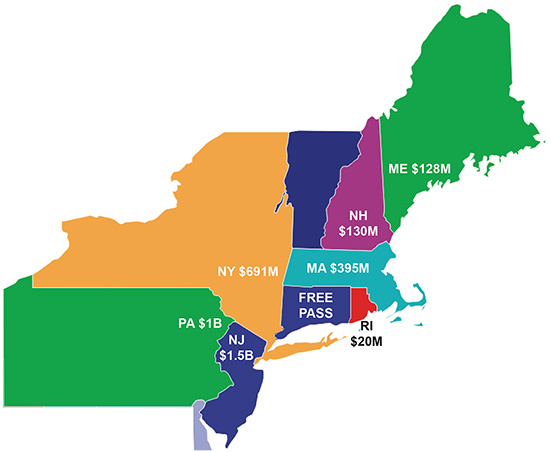 Fees from tolls are one of the few ways to capture revenue from out-of state travelers and commercial vehicles.